In addition to being regulated by the Fair Debt Collection Practices Act (FDCPA), Louisiana collection agencies are also regulated by Louisiana debt collection laws. Discover: Louisiana collection requirements, bad check laws (NSF), statutes of limitations for both debts and judgments, garnishments plus Louisiana collection agency license and bonding information. Except as otherwise provided by law or this section, the creditor, including, but not limited to the creditor in a consumer credit transaction, shall not contact any person other than an extender of credit or credit reporting agency who is not living, residing, or present in the household of the debtor regarding the debtor’s obligation to pay a debt. (1) Notwithstanding R.S. 9:3513 the debtor may waive the benefits of this section at any time by giving consent, provided such consent is given at a time subsequent to the date the debt arises. (b) To ascertain the whereabouts of the debtor when the creditor has reason to believe the debtor has changed his employment or has moved from his last known address. (3) If the debtor has defaulted on his promise to pay, and if he has given specific notice in writing by registered or certified mail, instructing the creditor to cease further contacts with the debtor in regard to the indebtedness, the creditor shall thereafter limit mail contacts to one notice per month so long as the notice is not designed to threaten action not otherwise permitted by law. If the debtor has instructed the creditor to cease further contact, as heretofore provided, the creditor may make a maximum of four personal contacts with the debtor for the purpose of settling the obligation provided such contacts are not designed to threaten action not otherwise permitted by law. (c) contacting persons related to the debtor if permission is specifically given in writing at the time the debt arises or at any time thereafter, provided that such contacts are reasonable. (5) This section shall not limit a debtor’s right to bring an action for damages provided by Article 2315 of the Louisiana Civil Code. (6) Notwithstanding the provisions of Paragraph (3), when the extender of credit has filed suit and obtained judgment he shall be permitted to resume contacts with the consumer against whom judgment has been obtained. Added by Acts 1972, No. 454, §1, eff. Jan. 1, 1973. Amended by Acts 1974, No. 466, §2. (1) Intentional violations or violations not caused by good faith errors. (iii) thirty days have elapsed since receipt of such notice by the extender of credit, and the violation has not been corrected. (i) Failure to return or give credit for an overcharge in the loan finance charge or credit service charge or, failure to return a deficiency in the rebate within the time period set forth in Subsection A(1)(a)(iii) of this section when such overcharge or deficiency exceeds the greater of (1) ten percent of such loan finance charge, credit service charge or rebate; or (2) fifteen dollars. (c) If the extender of credit fails to return or give credit for an overcharge or deficiency as provided in Subsection A(1)(b) of this section, in addition to the penalties in Subsection A(1)(a) of this section, the consumer executing the consumer credit transaction and giving the required notices shall be entitled to collect from the extender of credit up to one hundred dollars of his actual documented out-of-pocket expenses incurred as a direct result of such failure to act. (d) In the case of multiple violations involving an overcharge in the loan finance charge, credit service charge or rebate of the size described in Subsection A(1)(b)(i) of this section, the extender of credit must notify the commissioner of the existence of such multiple violation and must give the commissioner a reasonable description of such multiple violation within thirty days after the receipt of the written notice from the complaining consumer, and the extender of credit must correct such multiple violation as to each consumer affected thereby within thirty days of the receipt of the written notice from the complaining consumer. Upon good cause shown, the commissioner may grant up to two thirty day extensions within which the extender of credit must correct the violation. If the extender of credit fails to give the commissioner the required notice or fails to correct such multiple violation as required herein, then from such failure it shall be presumed that such multiple violation was intentional or not in good faith. (2) Unintentional violations or violations caused by good faith errors. (a) If a violation of this chapter is not intentional or is made in good faith on the part of the extender of credit the court may require the extender of credit to correct the violation, but the consumer is not entitled to the civil remedies granted by this section; provided however the provisions hereof shall not protect the extender of credit if the provisions of Subsections A(1)(b) and A(1)(d) of this section are applicable. (b) If the complaining consumer gives the extender of credit written notice as provided in Subsections A(1)(a)(i) and A(1)(a)(ii) of this section of an alleged violation of the provisions of this chapter, although such violation was unintentional or resulted from good faith error or did not in fact exist, the extender of credit must give the complaining consumer a reasonable response to the complaint in writing within thirty days of the receipt of written notice from the complaining consumer. If the extender of credit fails to give such response timely, the complaining consumer shall be entitled to collect from the extender of credit up to one hundred dollars of his actual documented out-of-pocket expenses incurred as a direct result of the failure of the extender of credit to comply with the provisions hereof. (1) An extender of credit has no liability for the civil remedies granted by this section in all instances other than multiple violations and whether intentional or resulting from good faith error or not, if: (a) within fifteen days after discovering a violation and prior to receipt of written notice of such violation from a consumer, or (b) within fifteen days after the occurrence of such violation, regardless of receipt of such notice from a consumer, the extender of credit gives written notice to the consumer or his designated agent of the violation and corrects the violation. If the violation consists of a prohibited agreement, giving the consumer a corrected copy of the writing containing the violation is sufficient notification and correction. If the violation consists of an excess charge, correction shall be made by an adjustment or refund. (2) In the case of all self discovered multiple violations whether intentional or resulting from good faith error or not, the extender of credit shall have no liability for the civil remedies granted by this section if: (a) within fifteen days after discovering such violations the commissioner is notified of the existence of such multiple violation and given a reasonable description thereof, and (b) such violations are corrected as to each consumer affected thereby within thirty days after discovering such violations. Upon good cause shown the commissioner may grant up to two thirty day extensions within which the extender of credit may correct the violation. If a consumer delivers written notice of such violation at any time after the commissioner is notified by the extender of credit, it shall not affect the rights of the extender of credit to be relieved of liability as provided herein. C. No act done or omitted in conformity with any advisory opinion or interpretation issued by the office of financial institutions at the time of the act or omission or subsequent to the act or omission shall constitute a violation of this Chapter, notwithstanding that after such act or omission has occurred, such advisory opinion or interpretation is amended, rescinded, or determined by judicial or other authority to be invalid for any reason. Advisory opinions and interpretations of the office of financial institutions shall not be considered rules requiring compliance with the rulemaking process of the Louisiana Administrative Procedure Act. The commissioner and the employees of the office of financial institutions shall have no liability to any person with respect to an advisory opinion or interpretation issued in connection with this Chapter. D. Except as otherwise provided herein, any written notice required in this section may be mailed by registered, certified, first class, or air mail at the sender’s option. Proof of receipt by the extender of credit may consist of a return receipt executed by an employee of the extender of credit. Proof of receipt by the consumer may be a return receipt executed by the consumer. Proof of mailing any written notice may be a postmarked registered mail receipt, a postmarked certified mail receipt, or a post office certificate of mailing. The written notice shall identify the contract, state the names of the extender of credit and the consumer, and shall include the date and a reasonable description of the violation. In any case where the extender of credit must respond in writing to a complaining consumer, the written notice or other required written response shall be mailed to the last address contained in the extender of credit’s file on that consumer, unless the consumer specifies a different address in his written notice sent to the extender of credit. E. Any civil action under this section must be brought within sixty days of final payment of the consumer credit contract, or in the case of a revolving loan or revolving charge account, within one year of the date of the violation. 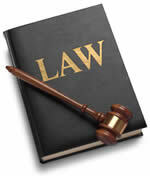 (1) The term “civil remedies” as used herein shall include civil penalties, attorney’s fees and out-of-pocket expenses. (2) The term “good faith error” as used herein shall include errors of law as well as errors of fact. (3) The term “multiple violation” as used herein means a violation which has recurred more than one hundred times as a result of a common error. G. Attorney fees shall be measured by the time reasonably expended by the consumer’s attorney and not by the amount of recovery. A. Any consumer credit transaction agreement may provide for the payment by the consumer of attorney’s fees not in excess of twenty-five per cent of the unpaid debt after default and referral to an attorney for collection. B. An extender of credit may not contract with a consumer for the reimbursement of fees paid to a collection agency employed to collect the consumer’s indebtedness. Knowing and abiding to the proper Louisiana debt collection laws is important for both creditors and collection agencies alike. There are debtor’s rights attorneys who are just waiting for creditors or collection agencies to slip up. If you mistakenly violate the Louisiana debt collection laws, you could create a liability for your business and even open yourself up to a expensive lawsuit. Please note: Louisiana debt collection laws can change over time, and you need to consult with an attorney before you use this information.